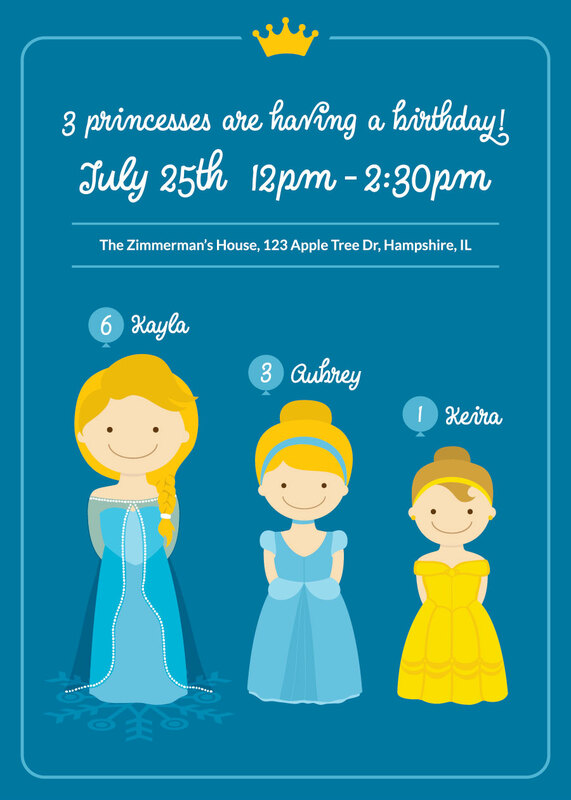 For this invite, I turned the three little Hawaiian girls into Disney princesses! These three sisters are back again as their favorite Disney characters – Elsa, Cinderella, and Belle. 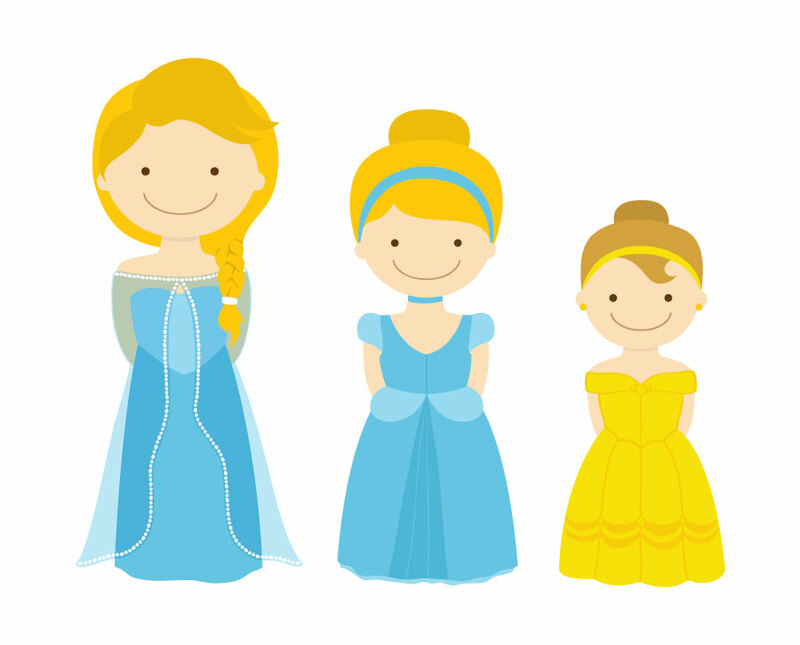 It was fun creating stylized versions of these classic princess favorites.